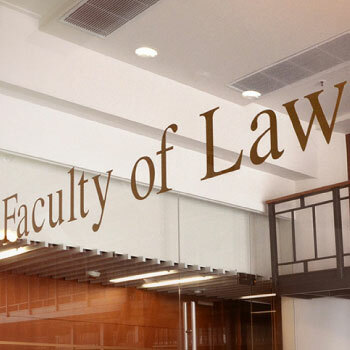 The Faculty of Law of the Chinese University of Hong Kong (CUHK) – the youngest of Hong Kong’s three law schools – has earned considerable respect, but aspired to regional leadership and wished to carve out a more distinctive place for itself among the many competing law schools in Hong Kong, Asia and beyond. Consequently the Faculty sought to re-examine its offerings and how it presents itself to prospective students, with the aim of building a more competitive brand identity and engaging in a more interactive communication with stakeholders. 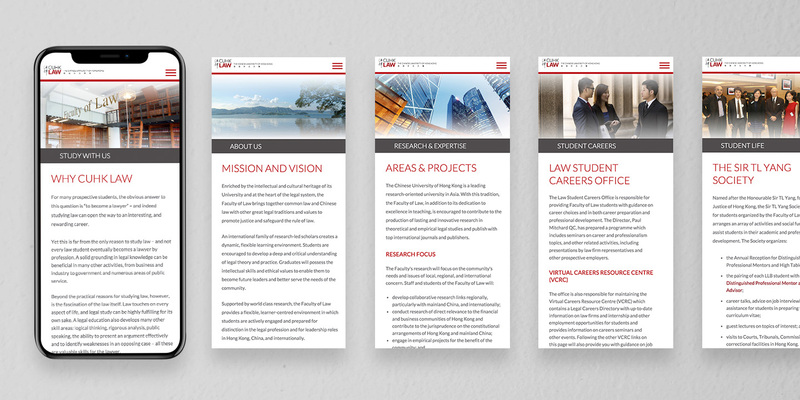 Base Creative helped the Faculty to identify key differentiators, based on its global outlook and its unique position within a university dedicated to enhancing ties between China and the outside world, and to express these through focused writing and design. Base Creative was called on to assist the Faculty with redefining and enhancing its brand through a series of activities. Initial research identified the Faculty’s existing position and the strengths on which it could build going forward. 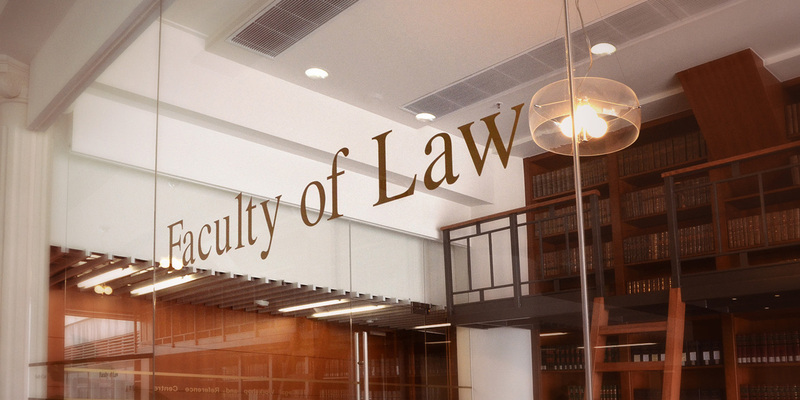 This was complemented by comparative analysis of other law schools to determine the Faculty’s place in the overall legal education market. 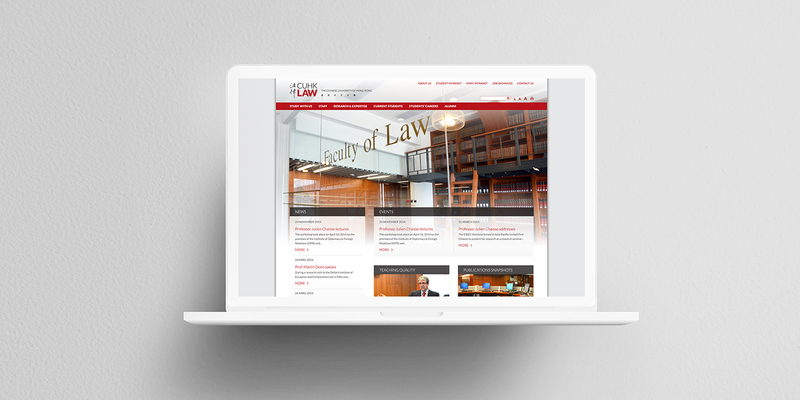 A new strategy was developed building on the Faculty’s unique advantages, and its updated positioning reflected in a redesign of its visual elements and rewriting of its website. In-depth interviews were conducted with senior academic staff of the Faculty, yielding a diversity of ideas, viewpoints and insights which informed the brand strategy. 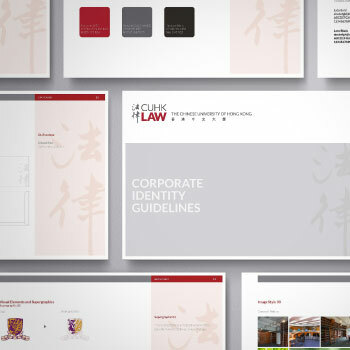 Using Base Creative’s brand workshop approach, we also obtained reactions to differing visual elements, which provided valuable input to the design stage of the project. 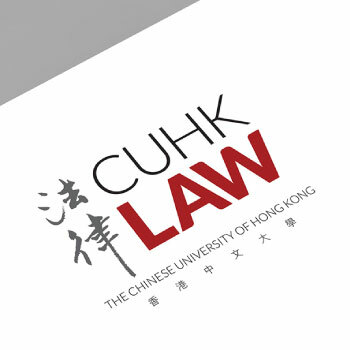 At the same time, comparative analysis was performed against Hong Kong’s two local competitors, as well as other comparable schools in common law jurisdictions in Singapore, the UK, USA and Australia. We also examined the varying roles of different stakeholders in the Faculty’s performance. While respondents felt that the university’s teaching quality and care for students were of a very high standard, these characteristics alone were not seen as unique enough to attract the best potential students, and equally importantly, the highest calibre staff. However, two key insights emerged which offered the Faculty a new direction forward. 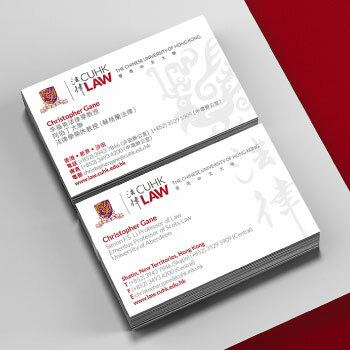 The first is that law, traditionally practiced within national boundaries, is increasingly becoming a global business as the world economy becomes more integrated across countries. The second is the rise of China and the Faculty’s distinctive position as part of a university with a stated mission to “bring together China and the West”. 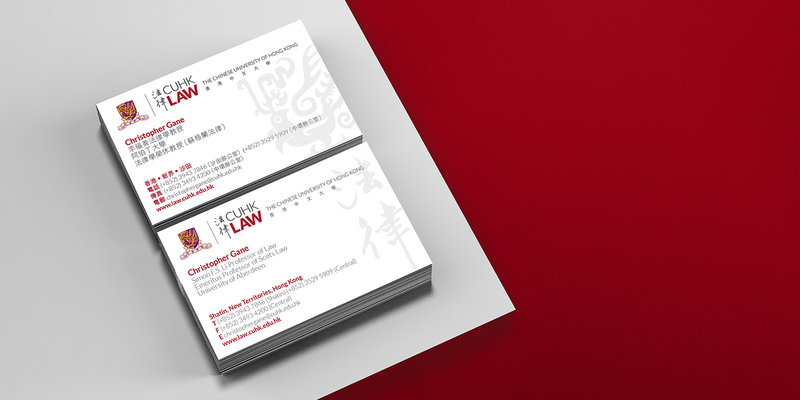 Furthermore, as Hong Kong’s economy becomes more integrated with mainland China’s, cross-border legal expertise will be in growing demand. Taking into account these factors, as well as the already internationally diverse staff and student bodies, and the need for any changes to be aligned with the overall character and direction of the university as a whole, the Faculty’s Brand DNA was defined in terms of a number of characteristics: pride in its achievements to date; teaching excellence; caring for students; internationalism; diversity; and its special relationship with China. The initial interviews uncovered a widespread desire among Faculty staff for a more modern and youthful visual image. Base Creative helped the Faculty to express its newly-defined differentiation through a redesign of its brand identity, with a fresh uncluttered style and a colour palette distinct from that of the University. 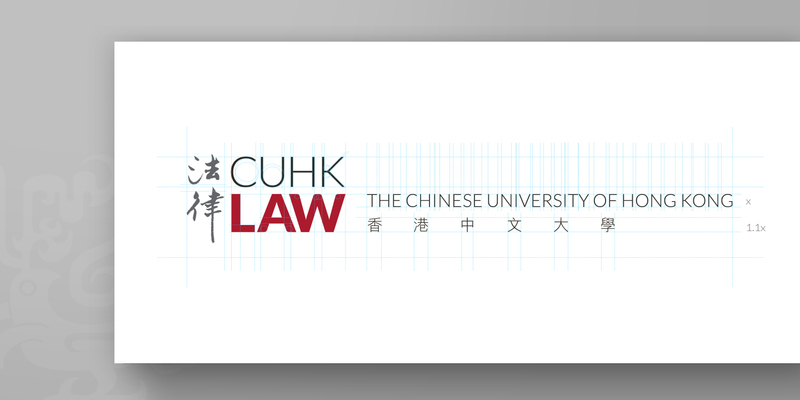 In keeping with the positioning of the school, the new logo featured both Chinese and English naming. 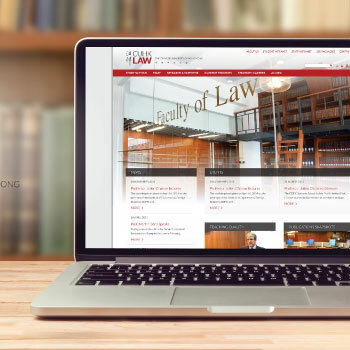 The Faculty's website – the key window into its offerings and personality for potential students – was rewritten and redesigned, giving it a fresh modern look to mark it out from the conventional conservative style commonly favoured by legal education institutions. 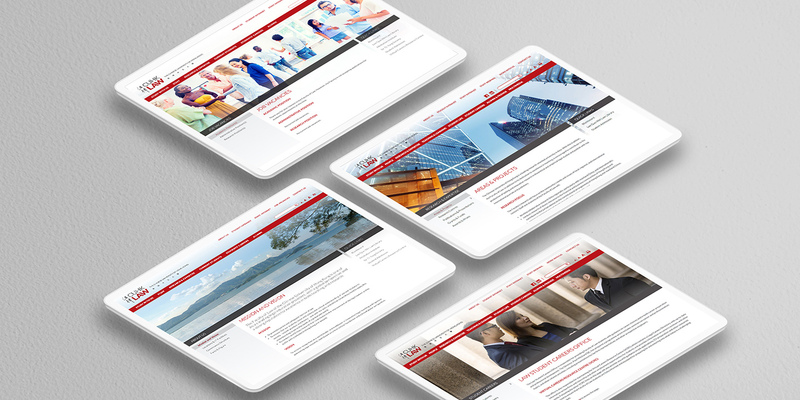 The new visual style was also extended to other touchpoints such as stationery and brochures. The launch of the new visual identity and website took place once they were approved by the university. 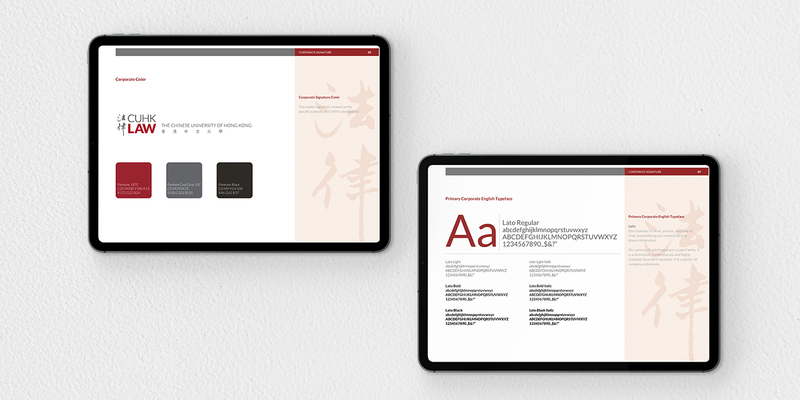 More time-consuming elements of the rebranding exercise, such as course and syllabus redesign, have been implemented incrementally over the past few years. As the Faculty moves closer to its desired positioning, it has earned a gradual rise in its rankings – these are generally based on a number of factors, particularly peer review by academics in other institutions.